So you managed to build an amazing website that you know your visitors would love. You have installed fantastic features that are guaranteed to blow them away. And you have included a lot of cool freebies to boot, just to leave them with something they could be happy about. It’s a blockbuster, and it’s just a matter of time. The problem is, how exactly would people get to know that your website exists? Surely, they must first learn about its existence before they could visit it, right? Well, it’s a fair assumption that 80% of the traffic that you’d be able to generate for your website would come from the search engines. Therefore, it is essential that you submit your website to as many search engines as possible. The process starts way before submission, of course, as you would have to optimize your web pages to constantly and efficiently win the attention of the search engine spiders. Sounds like hard work? Well, this is something that you must do to assure a high volume of traffic for your website, dear friend. You have to employ certain tactics to get a better chance at online success. But this is the realm of search engine optimization, or SEO as it is fondly called. You could also try viral marketing and article marketing. The former would fetch for you an exponentially increasing traffic at a regular pace. The latter would result in a boost of users that would get to visit your web pages. Both strategies pursue the goal of exposing your website’s link to as many people as possible. 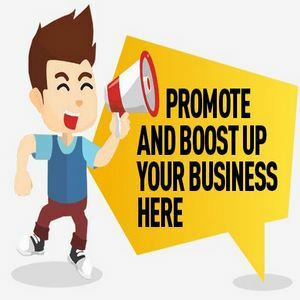 Viral marketing would allow you to continuously spread your link through the use of a free product, which is usually an eBook or a special report, with words to encourage the recipients to distribute the same to their respective networks. Article marketing involves the submission of an article to the many article directories in the World Wide Web. Each article comes with a resource box that includes a link to your website. Both strategies entail some work, specifically writing. Are there easier ways to win traffic, you might ask? Well, there are some tactics that require little work yet provides substantial results. Let’s take a look at them. • Increase your link popularity. Link popularity simply means the number of websites that contain links to yours. If you want to know what your website’s current link popularity is, just use the free tool at www.linkpopularity.com . Convincing other webmasters to display links to your web pages can either be very easy or very difficult. If you have befriended some webmasters throughout your online experience, this would be a cinch. Otherwise, expect to barter for such a spot on their websites, either in exchange for your goods or services, or by allowing them to display their links on your web pages as well. • Buy spots. Most of the time, money does all the talking, and convincing. If you can’t talk them into allowing your links to be displayed on their websites, simply buy a spot on their web pages. Usually, you’d be given the spot for a month, with the option to renew the agreement every month thereafter. • The previous two tips are about linking to other websites. Make sure that you choose popular websites. The purpose here is to garner visitors from highly visited sites to check out your web pages. If the other website generates less traffic than yours, your efforts would just be for naught. • Try Pay Per Click (PPC) advertising. This would require some financial investment from you. Overture and Google AdWords are the most prominent PPC advertising programs today. You just have to pay the program for every visitor they manage to refer to your website. You don’t have to worry about going broke, as you could always set a daily limit of how much you want to spend. • Try traffic exchange programs. There are free ones and there are paid ones. Free traffic exchange programs allow you to join a membership community. For every website you visit, you will earn a certain number of credits. You could use these credits to purchase traffic for your own site. Paid traffic exchange programs don’t require you to visit other websites, but you do have to bring out some cash to avail of their benefits. The traffic strategy you employ should depend on the nature and the goals of your website. A careful study of the benefits and consequences of each tactic should be made before resorting to them. Make sure that they are a perfect match for what you want your website to achieve.